The Finnish National Opera invites senior citizens to put their best foot forward in the foyer! Ballet isn’t the only dance we love at the Opera. 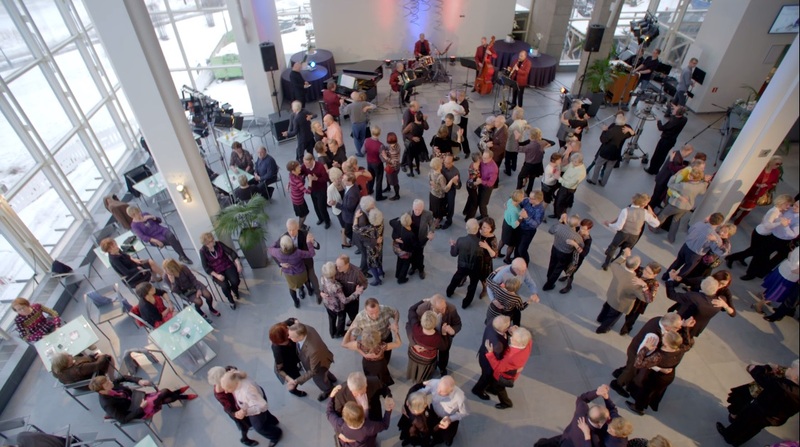 We invite all senior citizens to whirl and twirl to evergreens in our free afternoon dance sessions in the Opera House main foyer. The music will be played live by different ensembles and soloists. The streaming webcast ot the Opera Teatime Dance may be received free of charge at any nursing home or sheltered accommodation facility throughout Finland. We wish to encourage social dancing and thereby contribute to residents’ wellbeing. The Opera Teatime Dances for the 2018-2019 season are streamed in collaboration with Tradeka.